With over ten million copies in print, the worldwide popularity of William Barclay's Daily Study Bible remains unsurpassed. 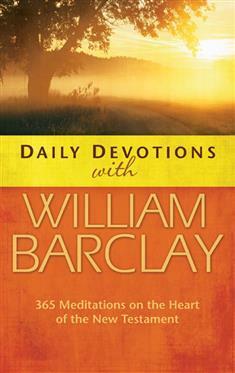 Collected here in a single paperback volume are some of William Barclay's finest writings from his multivolume work, each one carefully selected and arranged for daily meditation throughout the year. These wonderful insights into the wisdom of the New Testament are sure to draw readers closer to God and help lead them to a clearer vision of God's will.